X-ray of the tooth during pregnancy: is it possible to do and on what terms? We all know that a study using x-ray radiation can cause various effects in the form of anomalies. Any woman during pregnancy tends to avoid contact with potentially dangerous factors, however, a situation may arise when you need the assistance of a dentist. Depending on the complexity of the problem raises the question about the necessity of radiographic examination, and then the question arises – is it possible an x-ray of the tooth during pregnancy? The opinion of dentists on this score at odds – some believe that having an x-ray of a tooth during pregnancy is possible under condition of observance of all safety rules, other, followers of the old school claim to do x-rays in this crucial period it is impossible. Lately diagnosis of the pathologies of zubochelyustny system by x-ray pregnant women – a common practice on reception at the dentist. How dangerous x-ray radiation, and what the consequences might be, if you conduct a study in the early stages? 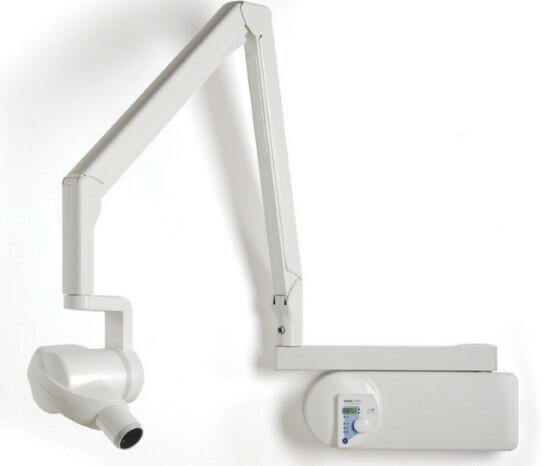 Most dental clinics are equipped with modern x-ray machines, which during operation emit minimal dose of ionizing radiation. For comparison, we can give an example – during the flight over medium distances (about 3000 km) the radiation dose is 0.01 mSv (mSv), while the x-rays of tooth radiation dose equal to 0.02 mSv. That is, when traveling on a plane in both sides of the volume of the resulting x-ray radiation will be equal to radiation during the examination. Radiation exposure during x-ray scan of the tooth is reduced through the use of a protective apron of lead and scanning a limited region. Despite this, in the first weeks of pregnancy to do an x-ray is undesirable. In that case, if the study needs to be done in the first trimester, you can contact the dental clinic equipped with intraoral radiology is a modern variation of the x-ray machine. Radiation exposure during scanning ray minimum, ten times less than with radiography on the machines of the old sample is 0.002 mSv. In addition, to obtain high-quality images with the help of the ray a relatively short period of irradiation is not more than 0.3 seconds, while in conventional radiography, the scanning time is about 1.5 seconds. All of these factors contribute to the reduction of radiation dose and make x-rays safer for the fetus during the first weeks of development. On what time you can do an x-ray of the tooth? Despite the low level of radiation during the examination on modern machines, if possible in the early stages of pregnancy should avoid harmful ionizing radiation. Why? Because in the first trimestre there is a bookmark all organs and systems, so any negative impact may affect the proper development of the fetus. By the end of the first trimester the sensitivity of the child to x-ray irradiation is reduced, and at the end of the second trimester all critical systems are formed, therefore, in this period, you can do an x-ray of the tooth, without fear of consequences, assuming compliance with all safety requirements. During pregnancy, especially in the early stages, much attention is paid to security measures, allowing to reduce the number of received ionizing radiation. 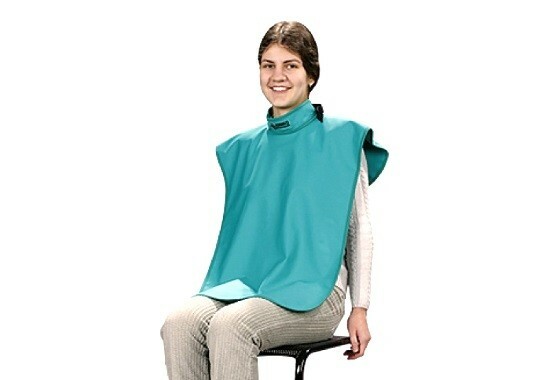 According to the requirements of SanPiN (sanitary rules and regulations) in any x-ray study should be a lead apron and collar are impermeable to harmful x-rays. Metal tends to reflect the ionizing radiation, therefore, during pregnancy the woman in the study cover the stomach and chest. In addition to the use of protective aprons to reduce the volume of the resulting radiation using two factors of time and distance. The meaning is that the shorter the study, the less radiation will be received by the patient. Protection distance – the farther the pregnant woman is from the x-ray tube apparatus, the smaller the radiation dose. Therefore at carrying out of dental x-rays in the early stages it is desirable to place the patient at maximum distance from the sensor. READ X-rays of the lumbosacral spine: preparation, how to do? Based on the foregoing, we can conclude that in the case of urgent need an x-ray of the tooth pregnancy allowed to do, but in the early stages (up to about the middle of the second trimester) scan should be avoided. In that case, if you want to run multiple pictures, there should be a study on the intraoral radiology. The maximum number of images on a conventional machine – 5 (only in the third trimester), with the help of the ray are allowed to spend no more than 15 studies with minimal radiation exposure. In the period of pregnancy planning is considered reasonable to limit the harmful effects on the body. However, x-ray irradiation does not have a negative impact on egg capacity, therefore, an x-ray of the tooth will not damage the egg. Even if you want to take some pictures, load on a woman’s body will be minimal, the egg will remain intact, and in the case of fertilization, the fetus will develop normally. What if a woman, unaware of pregnancy in the early stages x-rayed the teeth? Do not panic – the load on the body was minimal, but in the future it is desirable to avoid repeated x-ray scans to eliminate the negative consequences. Is it possible to do EGD during pregnancy, on what terms? CT in pregnancy: is it possible, what are the consequences? Pregnancy after roentgen: is it possible to plan and when?